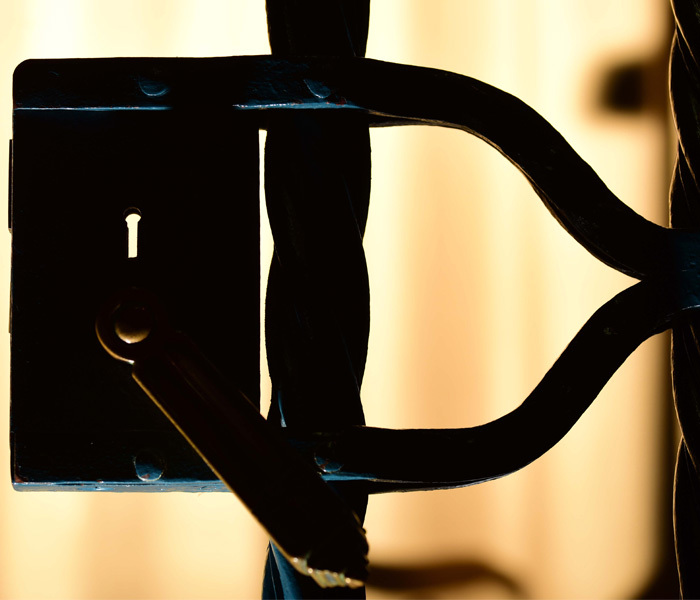 Take a journey with our expert tour guides to see hidden spaces normally closed to public access. Hear untold stories about how parts of the Minster were built and the people who made it happen. 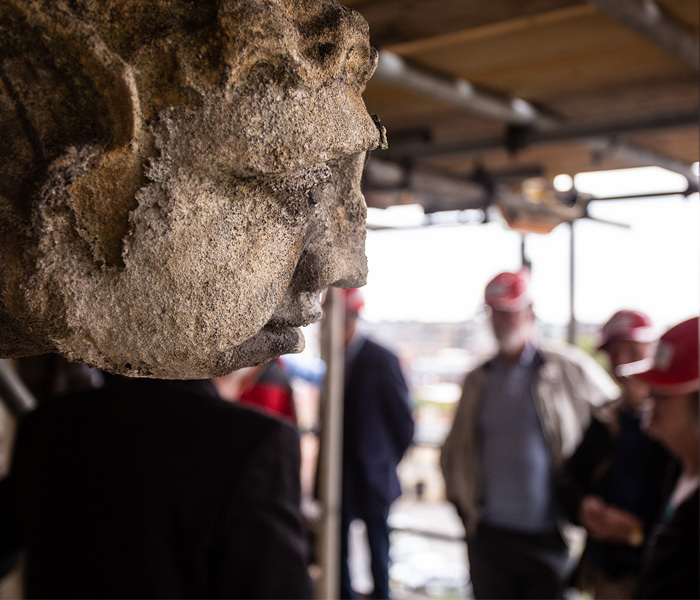 Go above the rooftops of York and explore one of York Minster’s architectural gems with our hidden tour of the Chapter House roof and old Mason’s Loft. Learn how 13th century Masons used a revolutionary engineering technique to create a structure that is one of the wonders of medieval carpentry. View the centuries-old design drawings still visible on the Tracing floor, see Victorian wooden templates and touch timber believed to be nearly 1,000 years old. These tours take place on Tuesdays, Thursdays and Saturdays at 11am. A rare opportunity to delve behind the walls of the present-day Crypt, where your expert guide will reveal the foundations of three spectacular cathedrals, built on this site over nearly 1,000 years. These tours take place on Mondays, Wednesdays and Fridays at 11am. See the ancient craft skills used to maintain this 800-year-old cathedral. Go behind the scenes at the Minster’s Stoneyard – see our stonemasons at work in their workshop and visit the Drawing Office where every stone of the cathedral is mapped out, before climbing the scaffolding to explore the current conservation projects. These tours take place on Fridays at 2pm and last approximately two hours. The tours leave from the Information Desk inside the cathedral’s South Transept. Chapter House and Mason’s Loft – £20pp, which includes general admission and a 12 month pass for York Minster (£10 for York residents, as entry to the cathedral is free all year round with a valid York Card). 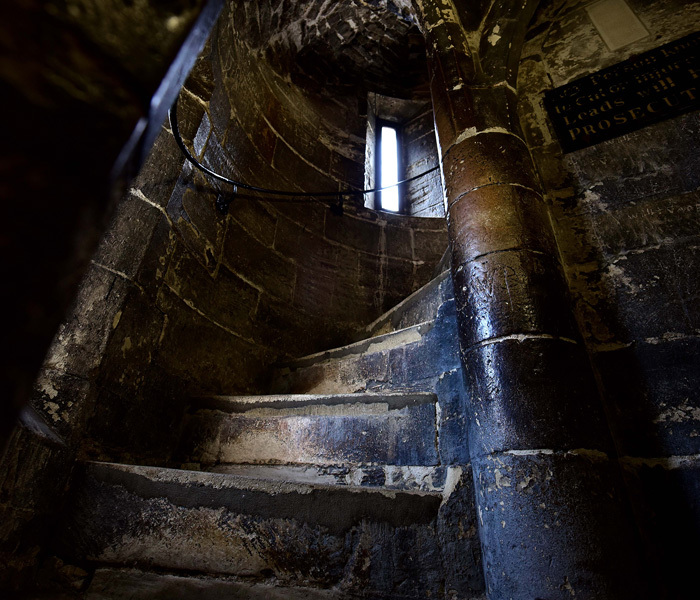 Crypt Passages Tours – £15pp, which includes general admission and a 12 month pass for York Minster (£5 for York residents, as entry to the cathedral is free all year round with a valid York Card). Stoneyard and scaffolding tour – £30pp, which includes general admission and a 12 month pass for York Minster (£20 for York residents, as entry to the cathedral is free all year round with a valid York Card). Book online or by contacting our team on 01904 557200. Tickets can also be purchased from the Minster’s admission desks. Booking in advance is recommended as spaces are limited to ten people per tour, but tickets may be available on the day. Hidden Minster Tours are only available to those aged 18+, who can meet the following Health and Safety guidelines.